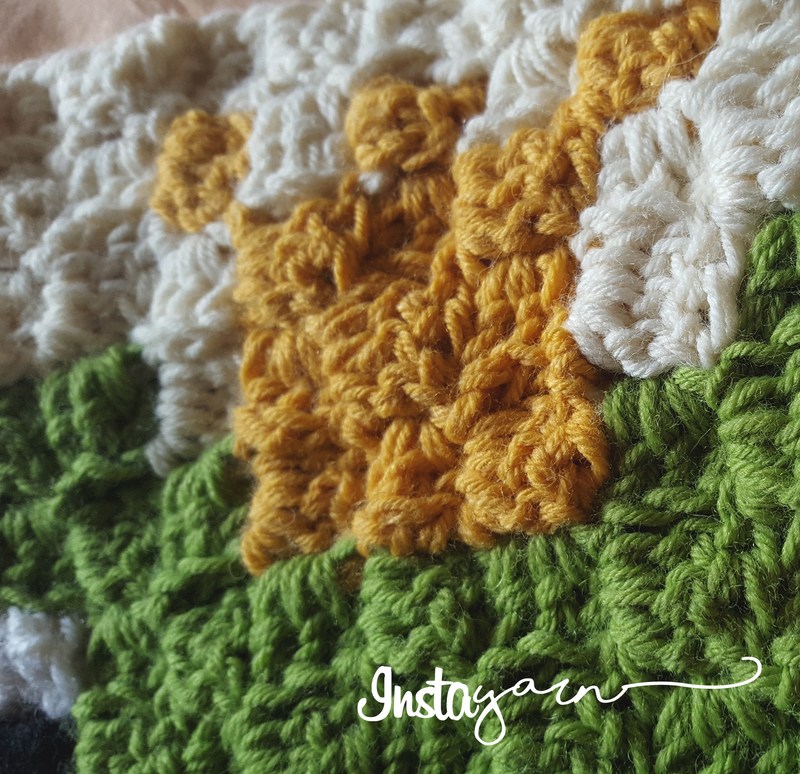 I think that’s pretty impossible to resist to this supercute crocheted baby blanket. This design was inspired by the latest arrival in my enlarged family: the little Gioele, a wrinckly newborn that will fear no cold this winter, protected by the mighty Frog King. 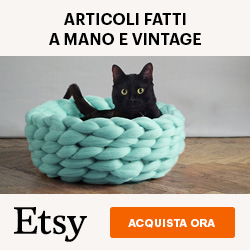 Cerchi la versione in italiano? Clicca qui! 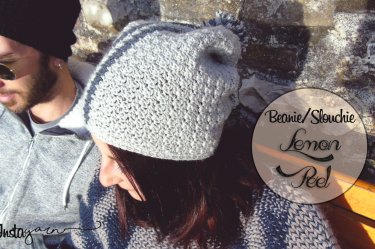 If you are willing to make one of these, please do not steal my pattern. You can share it and sell the products of your work: just link this page in the detail! If you have Instagram (or Facebook), use @1nstayarn (or @InstaYarn in case of FB) to let me know about your work. I would so appreciate it! 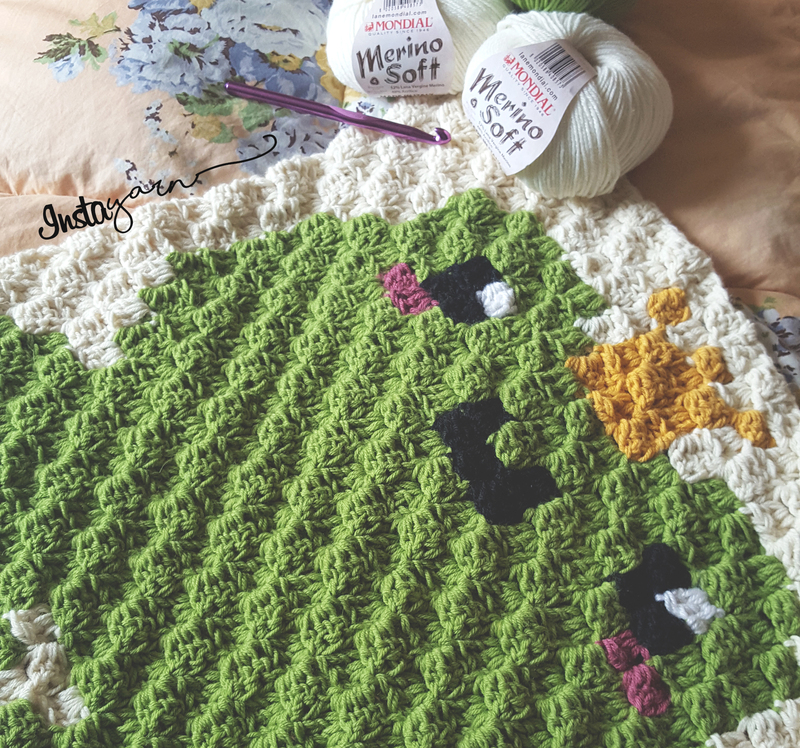 QUEUE THE FROG KING ON RAVELRY BEFORE YOU GET STARTED! 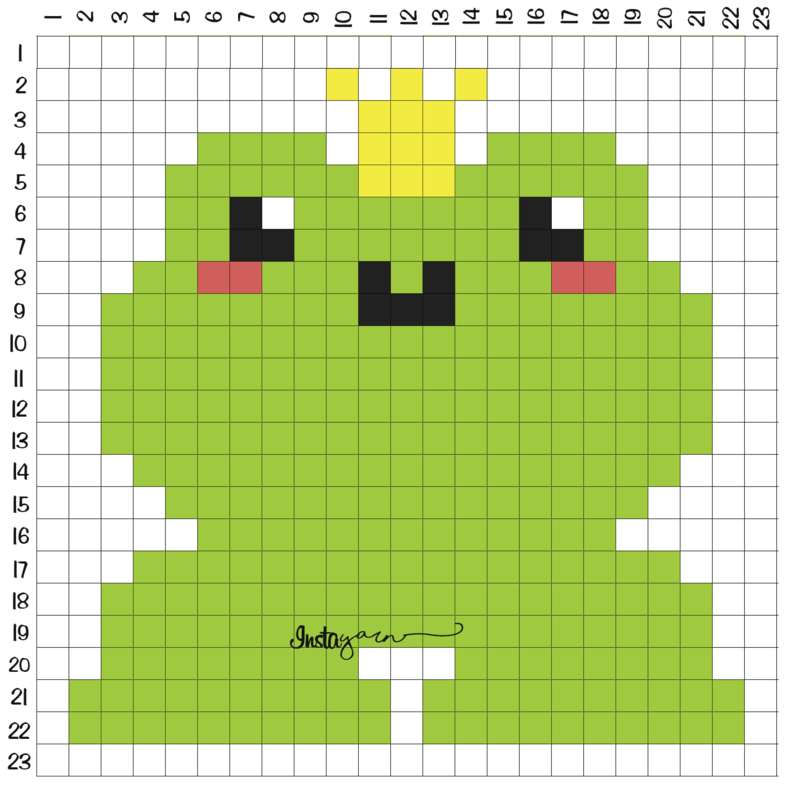 To get started with this stitch, you just need a printed graph divided in “pixels”. 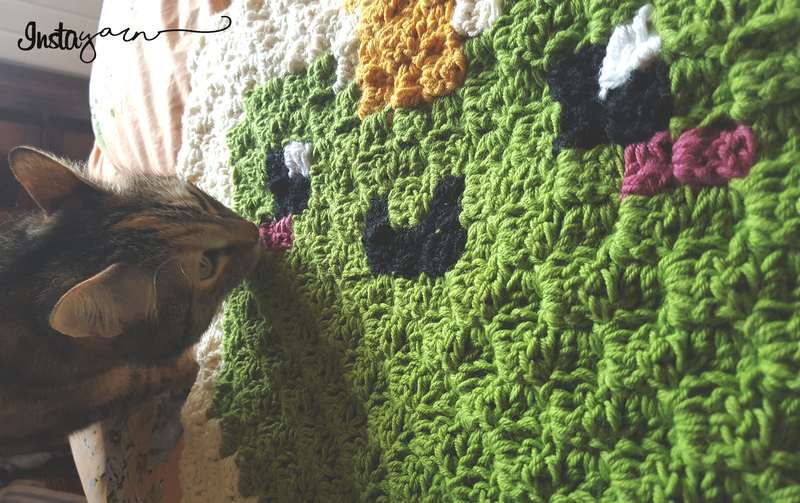 Any cross-stitch pattern or any 8-bit design is a great candidate to became the perfect C2C crochet project. The color change is the very challenging part: more colors you’ll use, more tangle you’ll face in your journey… However, do not fear the knot, because there are some tips you can use to get your perfect as smooth as possible. I learned the C2C tecnique from Sarah Zimmerman, the C2C crochet guru. There you have the same tutorials I used. If you already know what we are talking about just skipe this and fly to the Frog Diagram! Pssst, if you love this tecnique, Sarah Zimmerman made the most gorgeous book of all time, filled with a great amount of cuteness! Surfing the web in search of the perfect match, the design of Garbi KW popped out and I just fell in love with them. 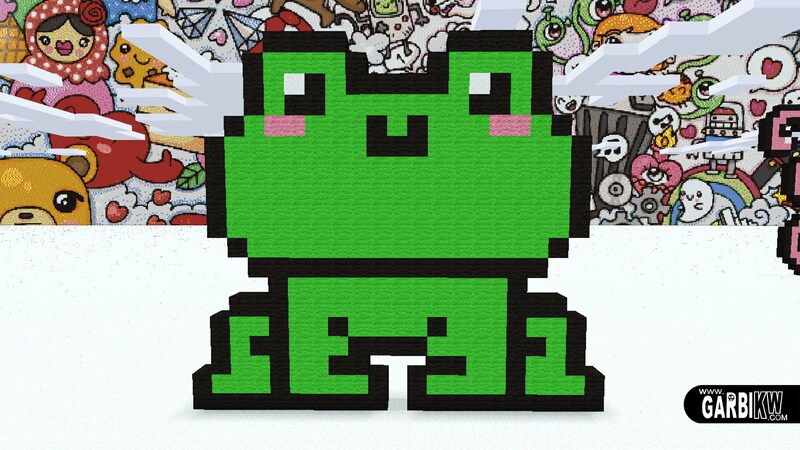 His frog just seemed perfect, but something was missing. The guardian of Gioele’s naps couldn’t be a generic frog, and so the king conquered his shiny crown. I used Mondial Merino Soft (52% merino wool, 48% acrylic) because I’m in Italy and this is one of the best brand you can find. For those far from Mondial Wool, any replacement of your choice can be used since the pattern doesn’t call for any gauge in particolar. 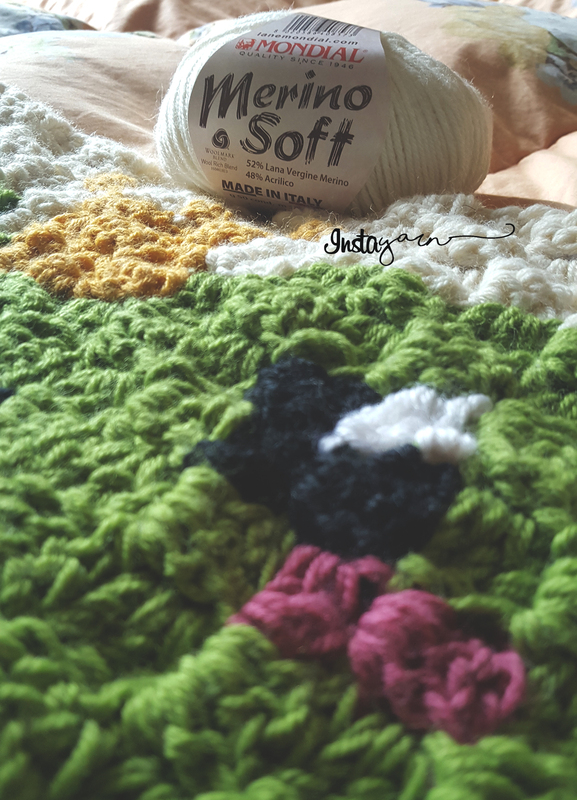 I recommend Caron Simply Soft for the perfect price and quality combo. 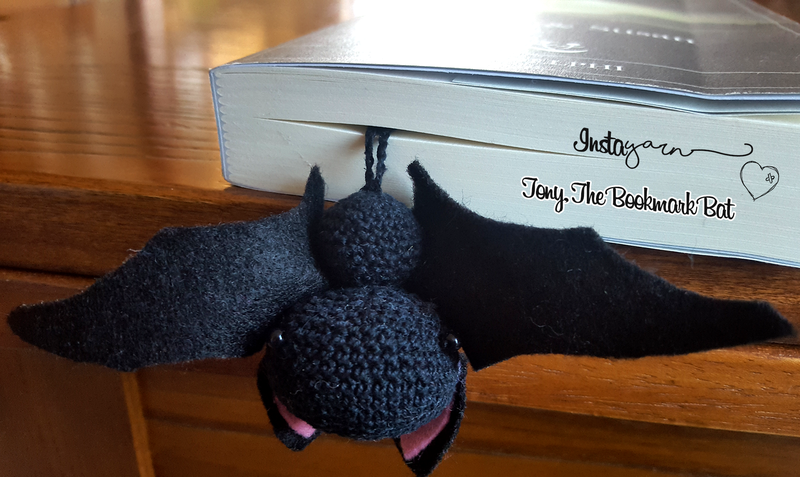 I used a double strand to enlarge the grid and to obtain a bulkier and softer project. Since I used a double strand of yarn and the color change is quite intricated, I need to cake my yarn. I suggest you this economic yarn winder: it’s not pure gold quality, but for the cost it has, it makes the job very well! I suggest to start from square 1-1 with white so you can minimize the color changes at least for the first diagonals. 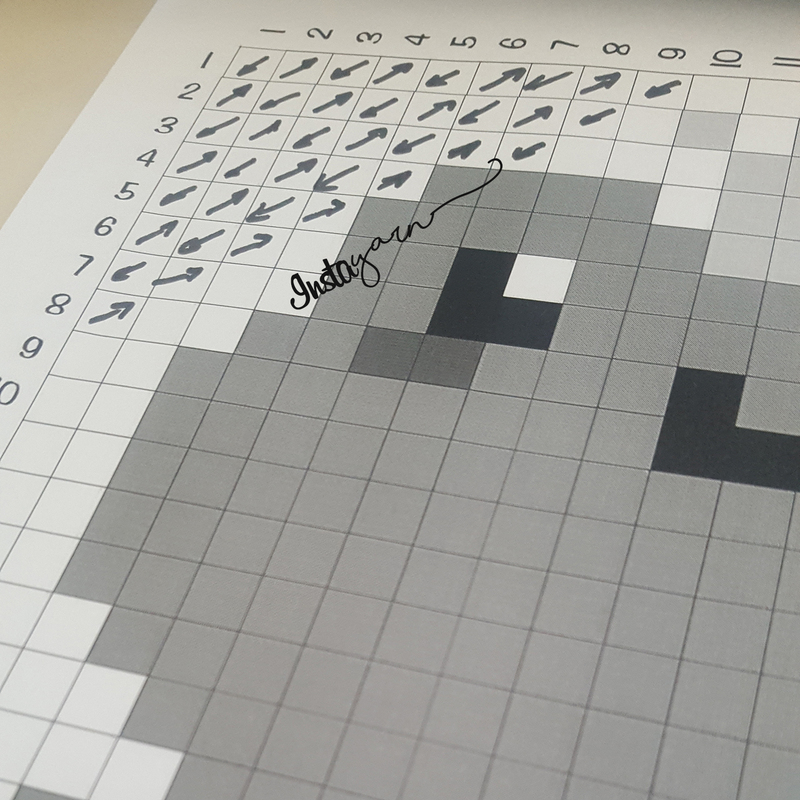 As you go with your squares, use a pen to make a sign of the printed scheme. In this way you can keep track of your progress and do every color change at the right time.